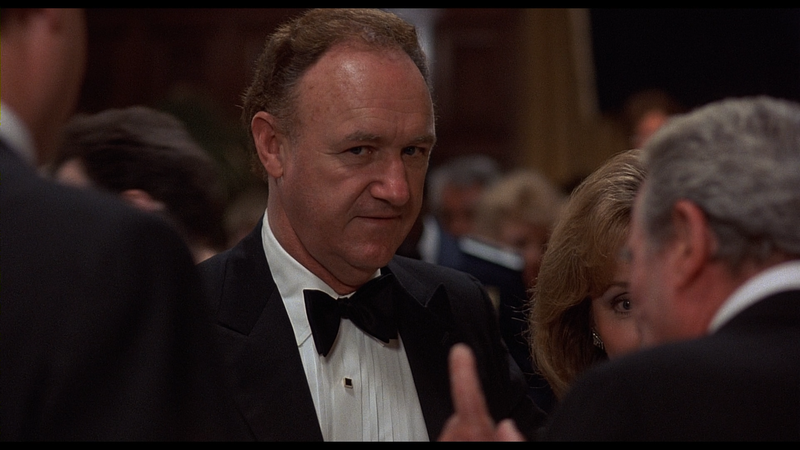 Plot Synopsis: In a fit of rage, Secretary of Defense David Brice (GENE HACKMAN) murders his mistress Susan Atwell (SEAN YOUNG). 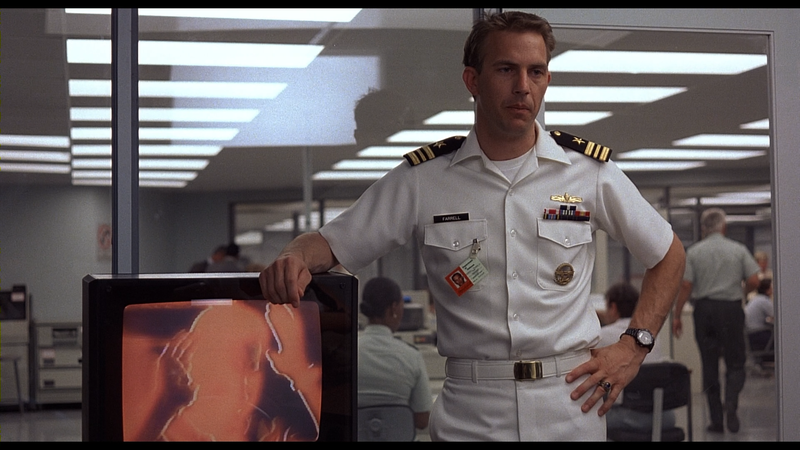 To keep a lid on the scandal, Brice’s loyal aide Scott Pritchard (WILL PATTON) creates the perfect cover-up: he uses a long-rumored Russian spy known only as Yuri to be her killer and then enlists old friend and Naval Commander Tom Farrell (KEVIN COSTNER) to find him. But what Brice and Pritchard don’t know is Tom and Susan had been seeing one another and for his part, Tom was falling in love. Now, with CID also on the case, he must prove Brice as the culprit by outrunning hired assassins whose purpose it is to kill potential witnesses to Brice’s affair. 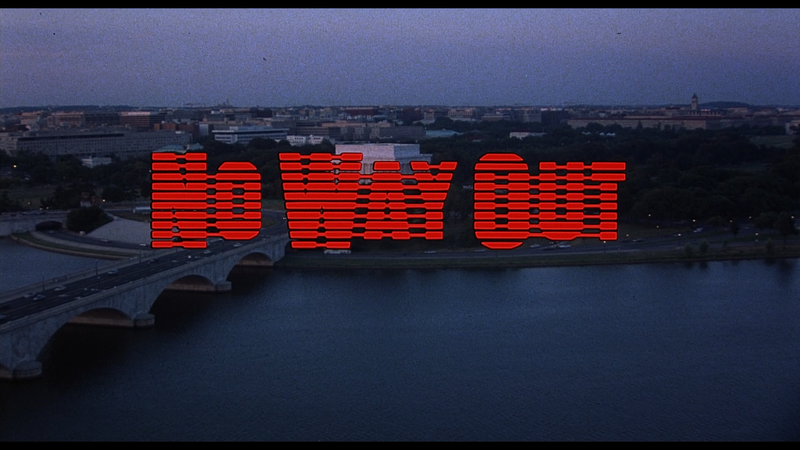 Quick Hit Review: No Way Out is perhaps lost gem of a suspense thriller from the 1980s that gets off to a slow start, with the central plot occurring 47-minutes in, but afterward, the remaining 65-minutes fly by relatively quickly and pace picks up to a fantastic and thrilling conclusion. Kevin Costner turns in a compelling performance as does Sean Young in her brief screen time and Gene Hackman once again makes for an amazing villain alongside Will Patton. Not much included save for the basic Audio Commentary with Director Roger Donaldson and the film’s Theatrical Trailer (1:30; HD). 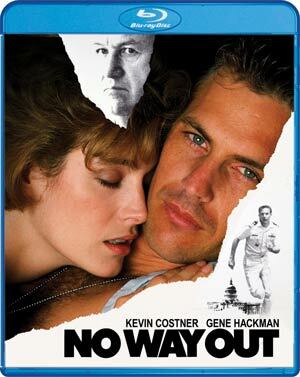 No Way Out debuts on Blu-ray courtesy of Shout Factory presented in its original 1.85 widescreen aspect ratio and a 1080p high-definition (MPEG-4 AVC codec) transfer. For the most part, this is a pleasing transfer with brilliantly bright colors and good detail throughout. It’s not perfect, however, as I did notice the occasional dust marks and scratches so obviously no major restoration work was done but it’s still well done. The movie includes both a 5.1 and 2.0 DTS-HD Master Audio tracks that provides crisp and clear dialogue levels and the score, by Maurice Jarre, come through each channel and some depth though hardly mind-blowing. Still, I didn’t notice any discernible flaws like hissing or inconsistent volume so it’s another fine job done. Overall, No Way Out was a pleasant surprise of a thriller featuring good suspense and a solid performance by Kevin Costner with honorable mention to Will Patton. To cap things off, the ending had a nice and unexpected twist. The Blu-ray released through Shout Factory is basic with only a commentary and trailer but at least the video and audio transfers were well done.